I have a half written post on Vancouver but we’ve just come back from a relaxing holiday in Barcelona and we visited a fantastic Japanese cafe for the first time on our last night and I just needed to share it with you. It’s Usagui (Japanese for rabbit) in St Gervasi and we do love it so! The cafe is larger than I expected, taking up what appears to be a converted cellar. 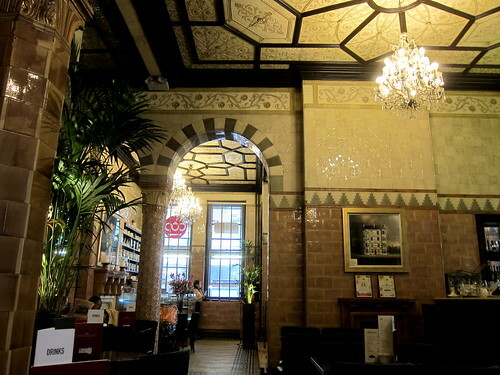 There’s plenty of seating, the music isn’t too loud, the food is excellent – it’s everything I need in a cafe! We visited on a Saturday night – I, Blai, and Blai’s mother; it was quite busy but not especially crowded – this may be explained by it being holiday season. We started with tea. 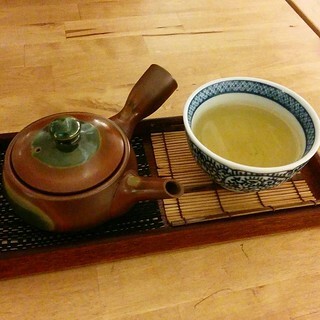 This was my kikucha (a green tea with stems) while Blai and his mother had hojicha (a roasted green tea). 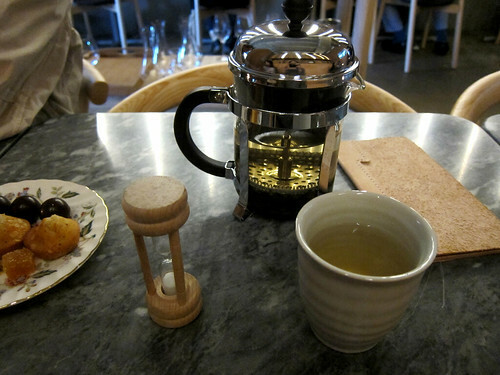 I was particularly impressed by the care the staff took to ensure that the water was at the correct temperature for each tea – hotter for the hojicha than the kikucha apparently). Between the three of us, we split two dishes for supper. 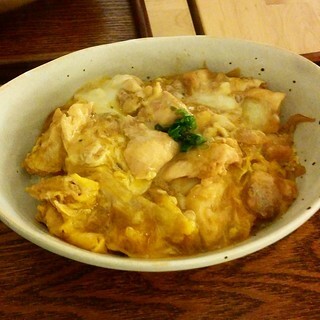 First there was an oyakodon, the classic chicken and egg donburi which was executed perfectly here, with the egg still a little on the runny side. 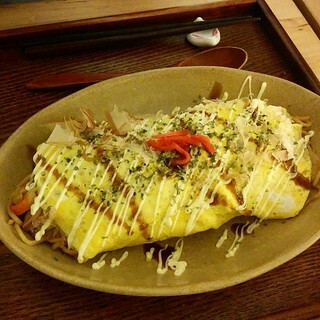 There was also omusoba, listed on the menu as yakisoba with the optional egg, and again, here, it was fantastic. I wasn’t going to leave without trying some of their cake. 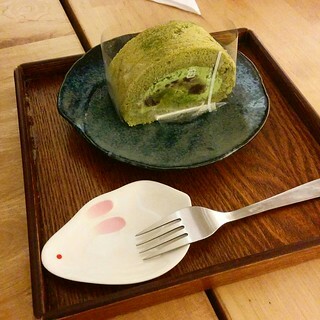 Their matcha roll, filled with matcha cream and azuki bean paste, was light and fluffy and extremely moreish. And like many Japanese cakes, not too sweet – which was a very welcome respite from all the rich Christmas treats. 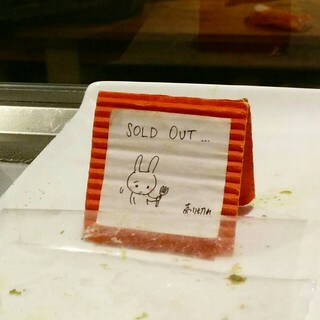 We took the last portion of the matcha cake and I was greatly tickled by the sad rabbit sign put up afterwards! 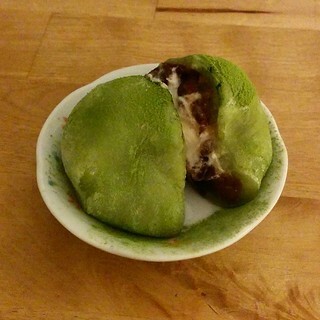 Mochi was also available and we went for the matcha mochi filled with azuki bean paste and whipped cream. 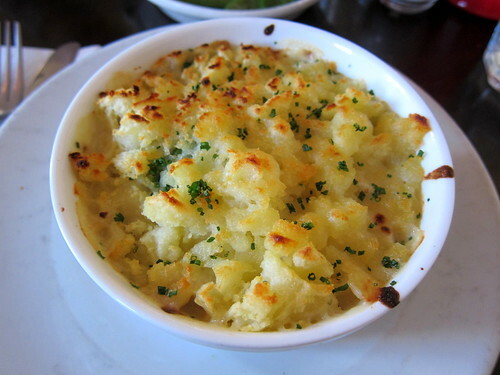 This was amazingly fresh – all soft and chewy (chew well, folks!) and the whipped cream lightened the texture of the entire sweet. There’s a menu del dia at lunchtime and they’re also open in the evenings (but not till very late at night – best to check Google Maps for opening times on the day). We’ll be back for sure. It’s been a while since I blogged and that’s just due to real life getting in the way! I’ve already been to Vancouver twice this year and haven’t blogged a bit about those trips. I’ll start with a highlight of my first trip back in May. My father and I went to visit Mak N Ming, a tiny fixed menu restaurant in Kitsilano – it’s relatively new and just recently was awarded as one of Canada’s best new restaurants in 2017 by Air Canada’s enRoute magazine (Légende in Quebec made that list a few years ago). The Mak and Ming in the name are the chef couple of impressive pedigrees who’ve launched the tiny restaurant. 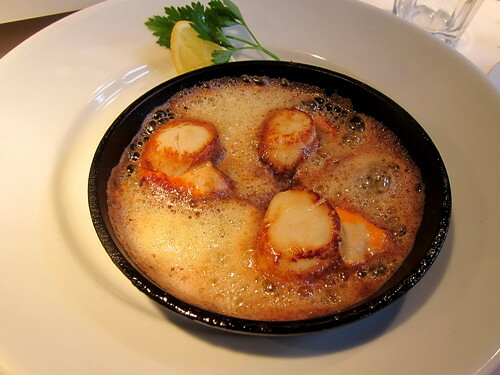 The restaurant is indeed tiny – perhaps only seating about 20 or so and hence booking is absolutely essential. 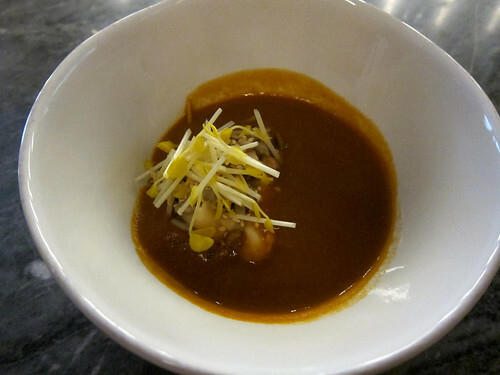 There are only two menus – a four-course demi menu and a longer seven-course chef’s menu. As this was my last dinner before flying out of Vancouver on that first trip, we went all out for the chef’s menu ($78 per head). What’s nice is that the entire table isn’t forced into one or the other; they allow for mixing of menus. A first bite of caviar on rye was a very promising start. Next up was raw lamb, salsify, parmesan, shirasu and was essentially lamb tartare and much milder in flavour than I expected. 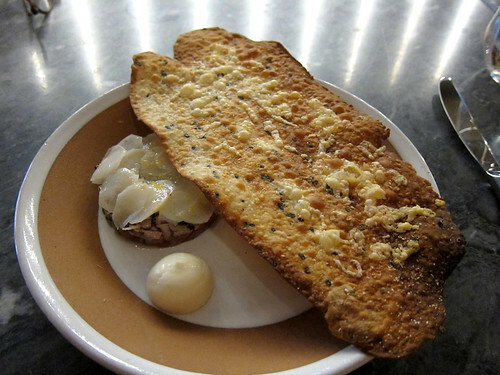 The parmesan featured in a huge crunchy cracker on top. 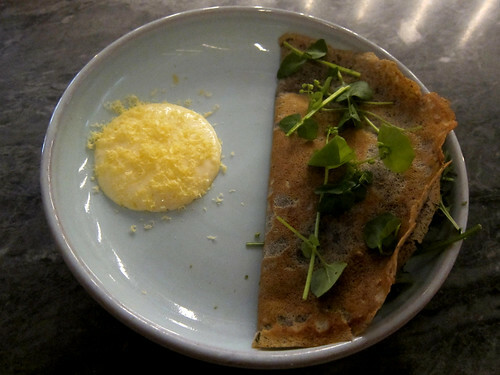 I enjoyed the buckwheat, fried egg, greens which turned out to be similar to a crepe – though perhaps this was the least creative of the dishes that night. Still very good though. 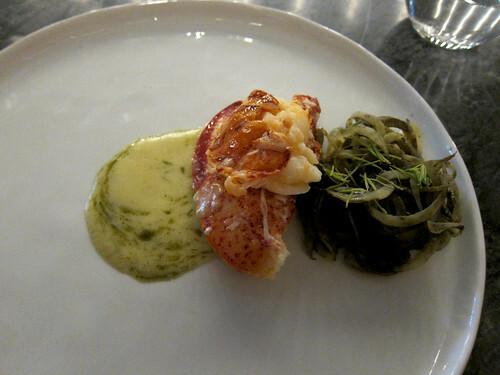 The very minimalistic lobster, potato was butter poached lobster with a gorgeous potato puree and also shavings of potato with a seaweed coating, I think. 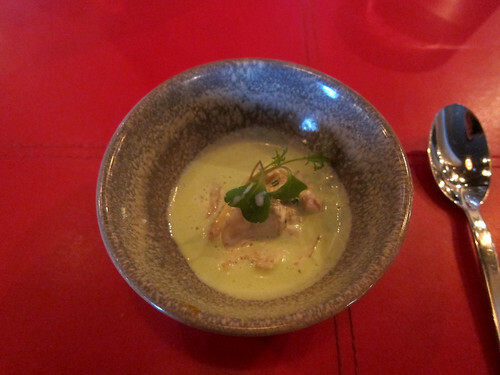 One of my favourites was the split pea, lobster ‘gravy’, seeds which turned out to be layers of split pea soup and a very thick lobster bisque. The first dessert – rhubarb tartlet, brunost – was a truly inspired combination. A very short and crumbly buttery pastry with a sweet-tart rhubarb filling was offset nicely by its toupee of rich and creamy Norwegian brown cheese. 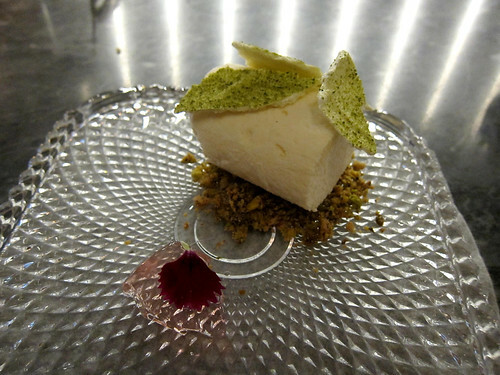 The second dessert was a sake kasu parfait, rose jelly, pistachio, meringue, sweet pea – and I never knew you could eat sweet peas in small quantities (I do believe they’re toxic in larger amounts). Not too sweet and lovely and light yet creamy, this was very accomplished. 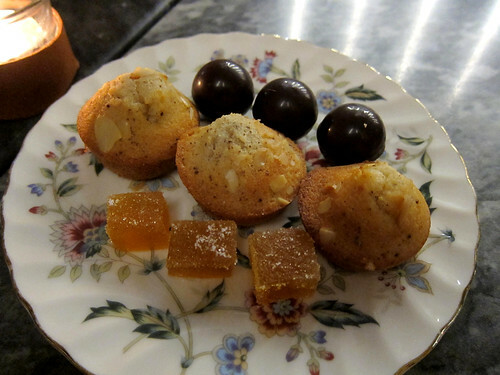 I ordered tea for afters and it came with a plate of excellent house-made sweets for the table. And my tea? Well, it came with a timer which gave us a bit of interactive fun. 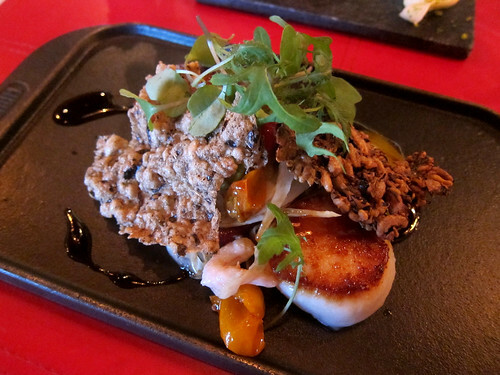 Perhaps my only quibble with the restaurant is that the menus only seem to change once every season – if I still lived in Vancouver and had the funds, I’d want more of an excuse to visit more often! Oh, and that I missed their Sunday brunches offered only in the summer – boo. It’s definitely worth the visit! I knew I had a solo dinner in Québec and after reaching out on Twitter, Renée got in touch again (hello!) 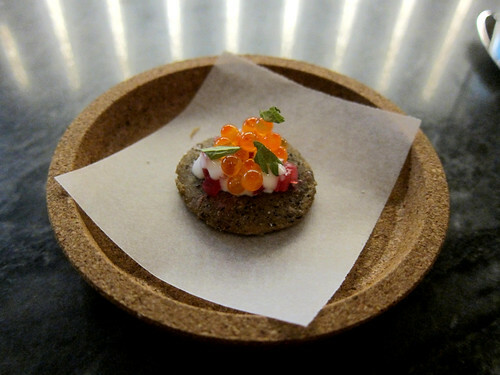 and recommended Légende, a highly acclaimed restaurant specialising in Boreal cuisine, i.e cuisine using ingredients only found in the Boreal (Northern) forests of Canada. No lemons or passion fruit or aubergines here! While not unique in Québec for serving boreal cuisine, it is unique in being one of the few restaurants in Canada to be on the Air Canada enRoute magazine’s annual list of Canada’s best new restaurants. I’d booked a place for one and ended up at their counter, watching plates whizz by and drinks being made in front of me. There were a couple other solo diners there and it was a nice spot to chat and find out what brought all of us to Québec (work, it turns out). I was tempted to try the restaurant’s tasting menu (10 courses) but I was still feeling a little full from lunch and so decided on sticking to the a la carte menu of half-sized plates. An amuse of clam and cucumber was brought out. It was refreshing and opened up my appetite a little (perhaps that massive sugar shack inspired lunch was a mistake….nah). 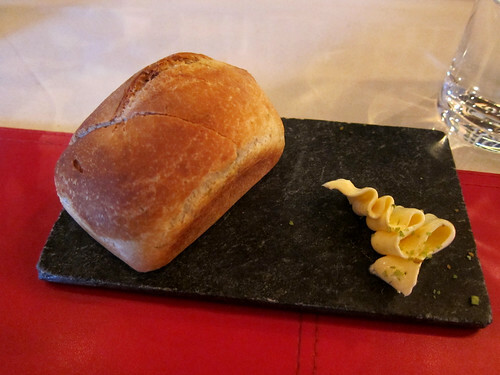 A tiny loaf of warm, fir scented bread with butter made my way at the counter. It took a lot of discipline not to inhale it in one go. Now, I thought that perhaps with half plates, I could perhaps put away two or three and I started by ordering two. This was a wise move as they were half sizes of Canadian portions – read: larger than I’m used to! My first dish of pan seared scallops with egg yolk, smoked duck, fennel, Nordic shrimp was delicious, with lots of textures (like those crackers on top) and even a few fiddlehead ferns. This was probably my favourite dish of the evening. 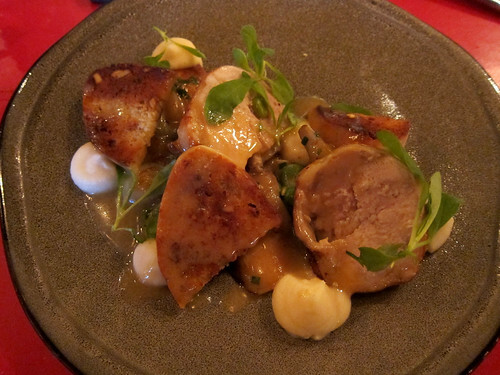 This guinea fowl dish wasn’t on the menu but replaced another poultry dish that I originally wanted. Yikes, I didn’t take any notes but I remember enjoying it and I remember being extremely full afterwards and definitely not being able to deal with a third dish! 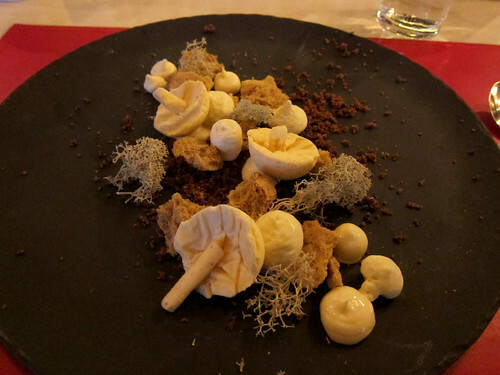 Dessert had to be their signature Candy cap mushroom frozen parfait with fir balm infused mousse, crystallized lichen. Lichen! Fir! Mushrooms?! These are not words I normally associate with dessert! The mushrooms turned out to be formed of the frozen parfait but the lichen…the lichen was lichen! I never knew it was edible! The dish overall was more of a fun novelty rather than your typical sweet ending to a meal but I still loved it. Overall, it was a fabulous meal. Definitely recommended and if you’re a solo diner like I was, the counter is a great place to sit and be taken care of. 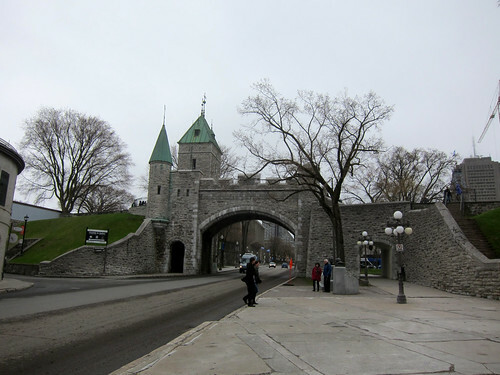 Earlier this year (in May), I had my first visit to Quebec City, probably the last major city in Canada I’ve been very keen to see due to its history. And its old walled city (the only walled city in North America north of Mexico) is indeed a UNESCO world heritage site. It was a short visit as I was there for work but I think I managed to see most of the highlights in my free day and whatever free time I could muster. My hotel was located about a 10 minute walk from the walled old town (top tip: best not to choose a hotel on Grande Allée Est if you’re not keen on nightlife running into the wee hours of the morning right in front of your window). For my first walk through the city, I looped around the old fortress and headed straight for the river. That would be the mighty St Lawrence river! It’s particularly wide here as Québec is located near its mouth. 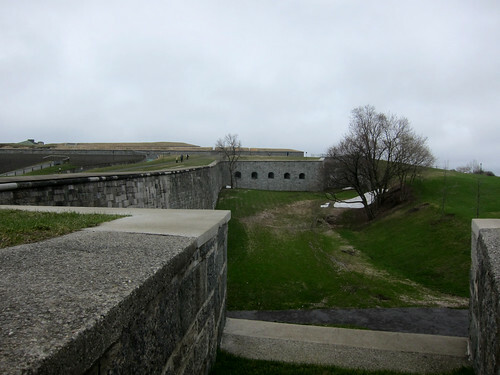 Notice the gloomy day – this was late spring and there were still large lumps of snow that had failed to melt. It was cold! 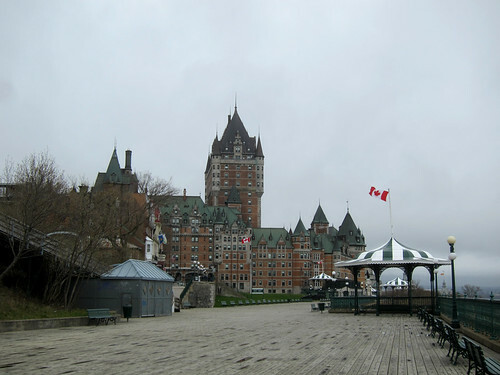 My first view of the Château Frontenac was breathtaking (as was the wind that day) – it’s quite a majestic landmark and understandably is one of the main symbols of the city. If it had been winter, it would have been a treat to go down the toboggan slide (located on the left in the photo below) dating back to 1884! 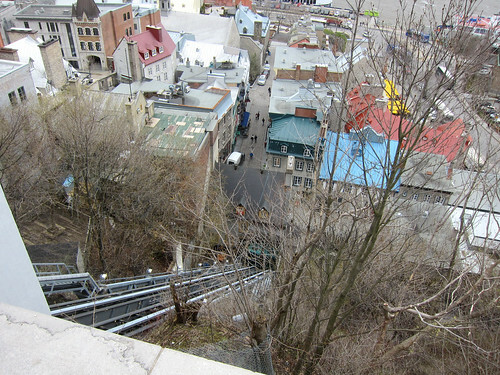 From the Terrasse Dufferin and its multitude of benches facing the river, it was down the stairs to the lower town below. 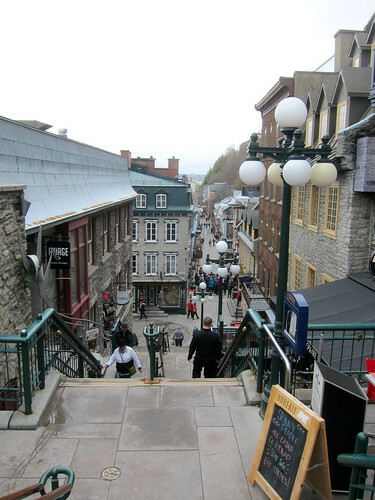 The Quartier Petit Champlain is a particularly charming tourist area with many shops with local products. At the end of the main street is a shop specialising in all things maple (Québec is famous for its maple syrup and, I learned, wild blueberries). It’s where I chose to go for my maple taffy later in the visit. Here, maple syrup is cooked to the soft ball stage and then poured over snow (shaved ice here). 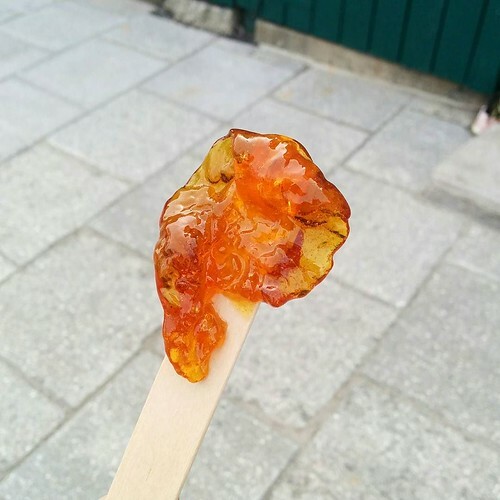 A stick is used to pick up the taffy and it tasted even better than I expected! This was just one step in my dream to experience a Québécois sugar shack but, y’know, outside the actual season (typically March and April). 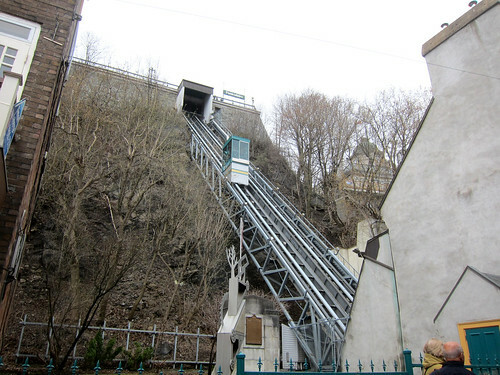 There’s a funicular to help you get back up that hill too… And I certainly made use of that when I came back one evening from a work dinner in the lower town. Handy! 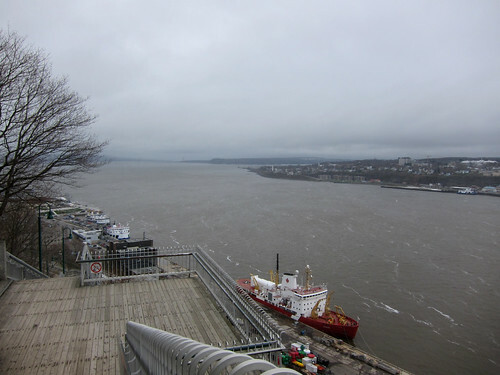 I continued walking around the port area until I reached the Marché du Vieux-Port de Québec. 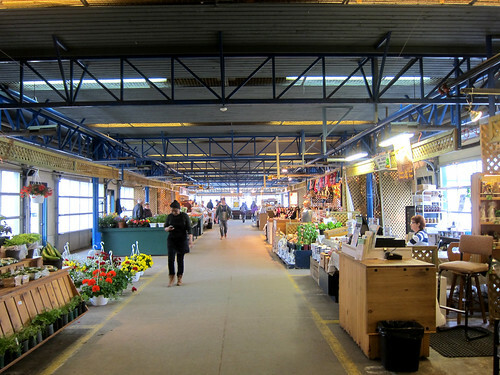 This market was made up of many local farm stands selling local products – I picked up some amazing fresh maple sugar as a gift for friends here. 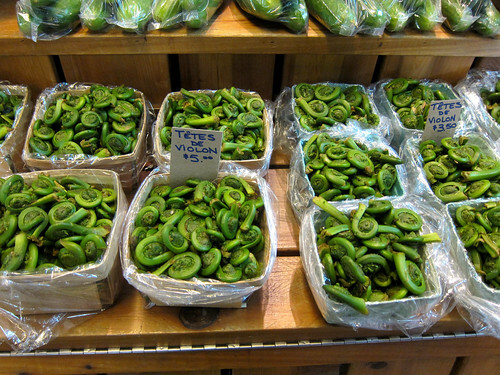 Fiddlehead ferns (têtes de violon in French – violin heads) were in season and were all over the market. I had a chance to have some at a dinner later on. 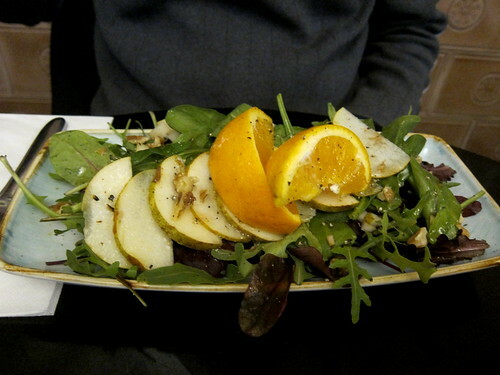 My sugar shack style lunch was had at La Buche, a restaurant specialising in Quebecois cuisine. 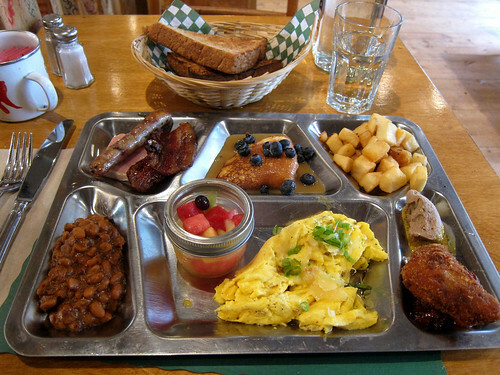 I went full on with their massive brunch platter that evoked a sugar shack kind of feeling. There were eggs, potatoes, sausage, bacon, ham, cretons, fèves au lard (the Québec version of baked beans), a crepe with maple syrup, toast with blueberry jam, and fruit salad. Hearty it was and I was very full the rest of the day – I did try my best but no, I didn’t finish the entire thing! There was a very nice dinner that night as well (oof!) and I’ll save that for a post of its own. 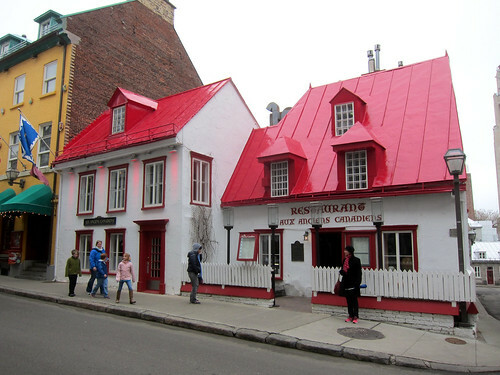 The oldest building in Quebec was across the street and it also holds another Quebecois restaurant – it’s not cheap but I’ve heard good things about it. Other places I particularly enjoyed visiting? 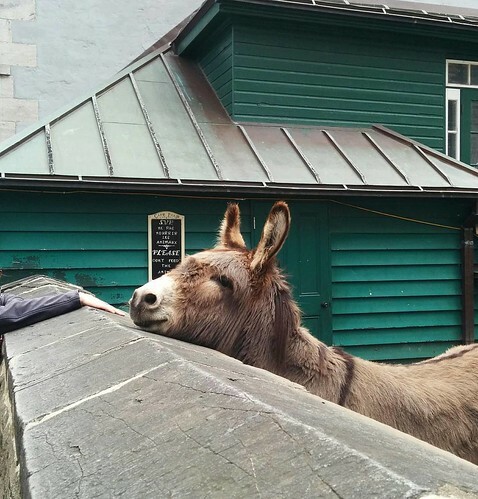 Well, there was the side of the parking lot of the Anglican cathedral, where Aldo the donkey lives. He’s out and about most mornings, I believe. I managed to wander into Le Monastère des Augustines – still a working Augustine convent but now also refurbished to be a hotel, restaurant, café, spa, and all round community space. It’s beautiful and very peaceful. 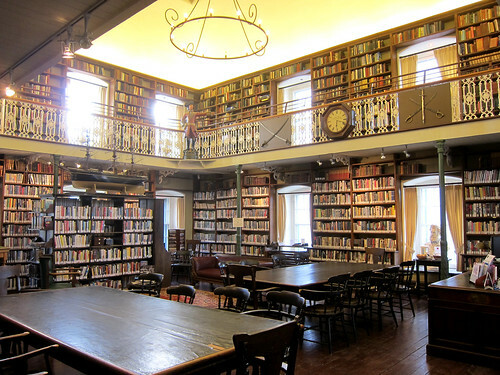 A visit to the Morrin Centre is a must for lovers of libraries. This historic English language library is tiny but gorgeous. 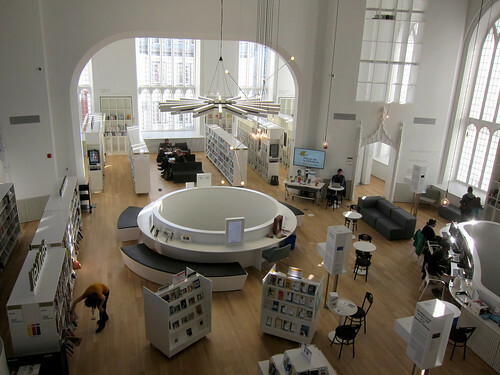 Nearby is the Maison de la Littérature, a modern library created in a converted church. Again, absolutely beautiful but in its own different way. 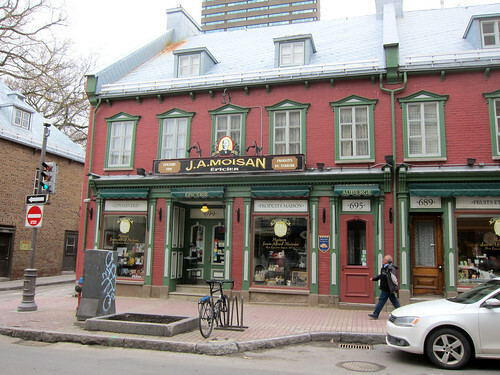 A must-stop shop is the Épicerie J.A. Moisan, the oldest grocery store in North America. It has many of its original fixings and you can spend an hour here poring over all the goods. It’s also the perfect place to pick up an edible souvenir – I went home with some incredible wild blueberry compote. I couldn’t not have poutine in Quebec! 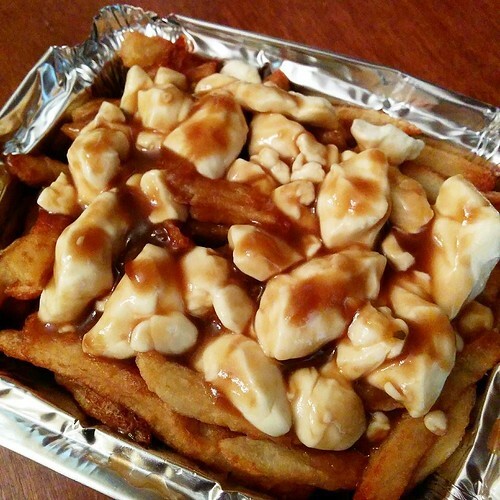 That quintessentially Québécois dish of fries, cheese curds, and gravy is said to have originated in the fast food chain Chez Ashton. That’s where I went and I wasn’t disappointed. The cheese curds, in particular, were exceptionally fresh, squeaking in between my teeth. 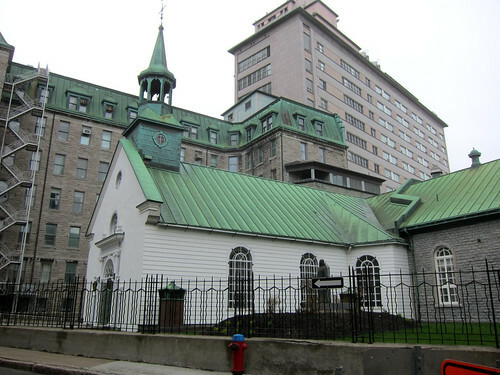 My first time in Quebec was certainly good fun if a bit cold. My next post is on Légende, the restaurant, but if you want to see more Quebec photos in the meantime, I’ll direct you to my Flickr album. If you’re flying to Canada, there’s a chance you’ll be changing in Toronto Pearson International Airport, the busiest airport in the country. If you’re flying through Terminal 1, there appear to be a wide variety of restaurants; there are lots of new ones since I last went through there. In Terminal 3, there are fewer choices (always a Tim Horton’s though!) but I managed to find a good place to dine on my recent stopovers there. Caplansky’s Deli – a branch of a popular Toronto diner. My first stopover coincided with dinnertime and with many hours to kill, I got comfy at a large table by the window and ordered myself a feast. 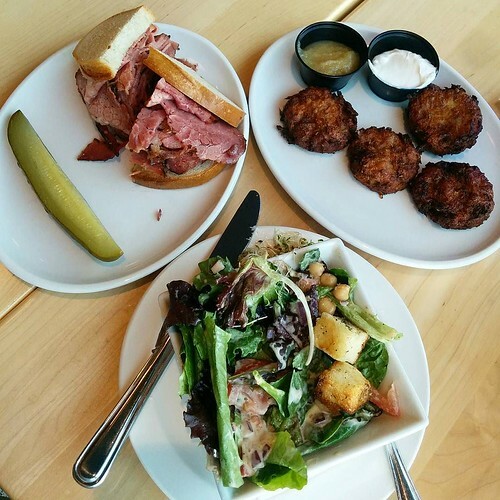 One smoked meat sandwich, with latkes substituting the usual fries, and a side house salad. While the salad was a little too heavily dressed, the croutons did add texture and crunch. The smoked meat was fantastic, as were the latkes. A selection of their own deli mustards also kept me entertained. My second stopover was at breakfast time and I was ravenous. 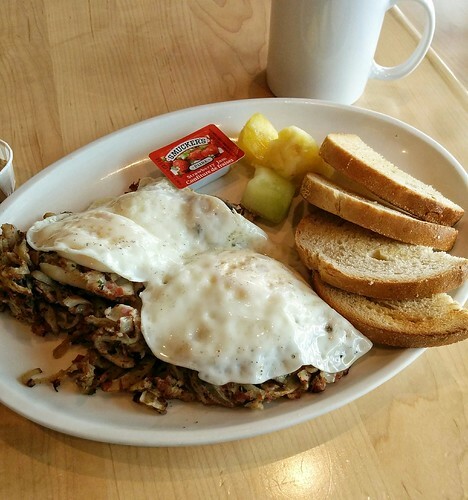 I ordered a smoked meat hash (with potato and onion) and over-easy eggs instead of the usual sunny side up. This wasn’t too bad and I was tickled by the addition of a few bites of fresh fruit. With ketchup and mustard, it was some incredibly comforting eating. I wish all airports had diners! And I already know what I want to try the next time I’m in Toronto – their fried chicken and their smoked meat knish or their fried salami for breakfast! Glasgow! 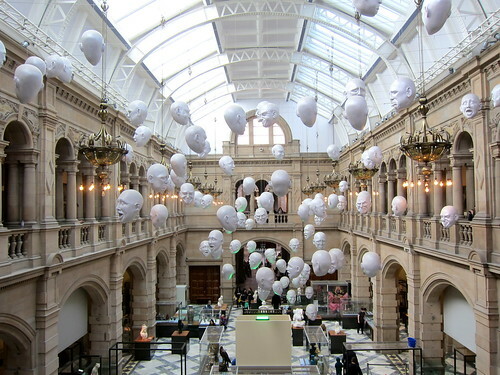 I still need to write about our days in Glasgow (this was back in Easter!). Blogging has not come easy as of late though I am still prolific on Instagram. I think after a whole day of looking at a computer, I’m just not feeling as inclined to open up my laptop yet again at night. But there’s Glasgow to write about! And also a recent trip to Canada! And a day in St Albans too! Onwards! 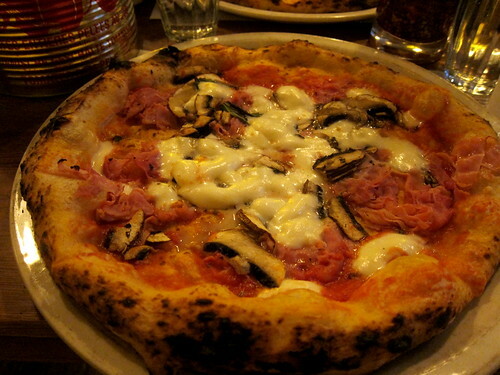 … and prosciutto cotto and mushroom pizzas were excellent. 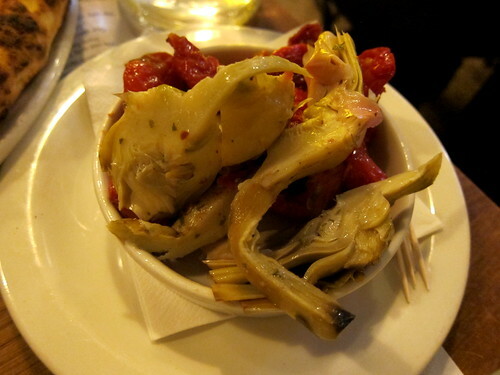 A side of artichokes and sun blushed tomatoes were lovely – the tomatoes were particularly good. 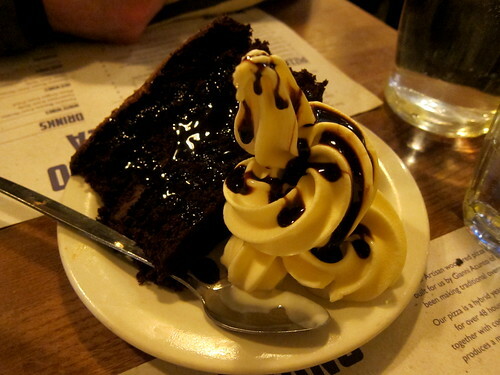 Dessert was one of the cakes of the day – a chocolate fudge cake with a side of soft serve ice cream. The portion was massive for £4! 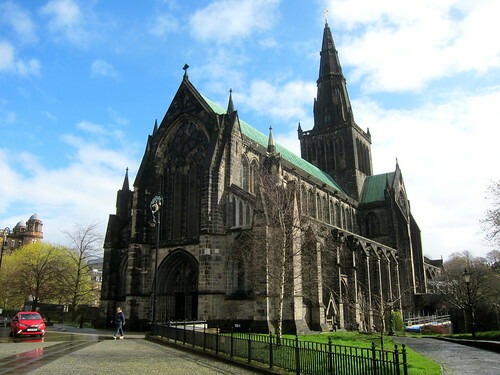 The next morning, we trekked out to Glasgow Cathedral – it’s magnificent! I’d never visited the cathedral despite spending a little time in the city 17 years ago and I was surprised by its size. Across the street was the most interesting Provand’s Lordship, which I also highly recommend visiting! 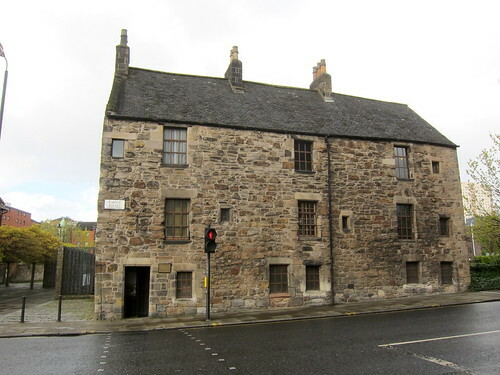 It’s a medieval building kitted out to be exactly like how it would have been around the 16th-18th centuries and it’s free to visit. Highly recommended if you’re visiting. 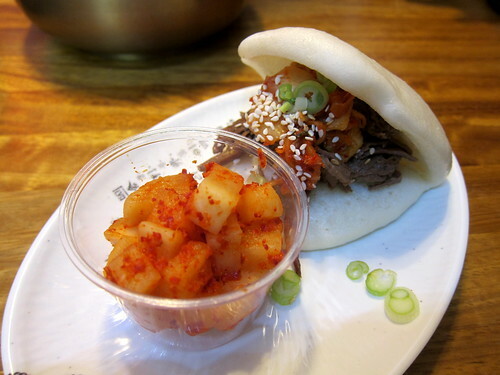 … and bulgogi brisket bao were both alright. 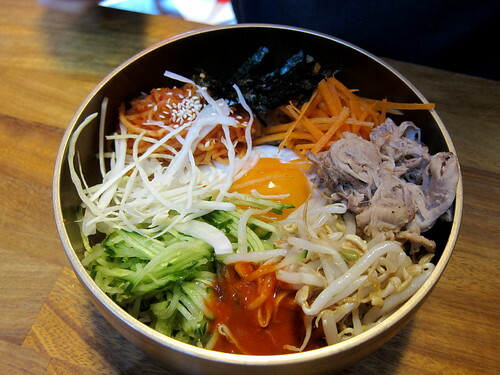 The vegetables in the bibimbap were just raw and not blanched or seasoned which made it not taste entirely right to me. 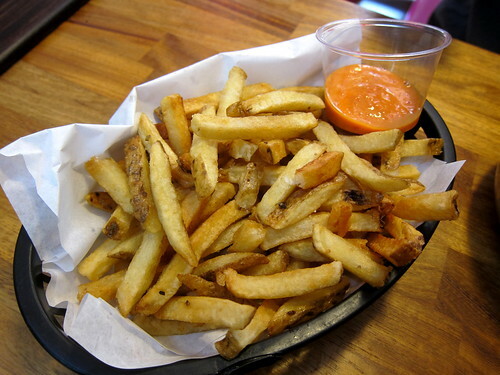 Of particular note were the fries with kimchi mayo – they’ve hit on a winning formula here. I hear their fries topped with everything are very good. 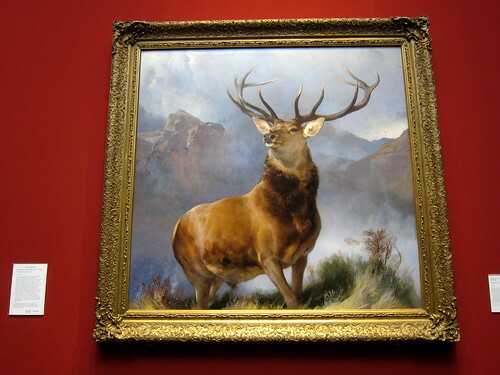 The entire afternoon was spent in the brilliant Kelvingrove Art Gallery and Museum, where we learned about the Glasgow Boys and their influence on UK art. And then I was back at Crabshakk – or should I say, I introduced Blai to the brilliant Crabshakk. We noshed on a few things by the bar. 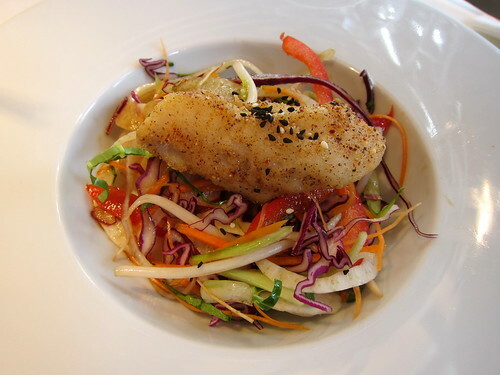 Let’s see… first were salt and pepper tentacles and gurnard (what a combo!). 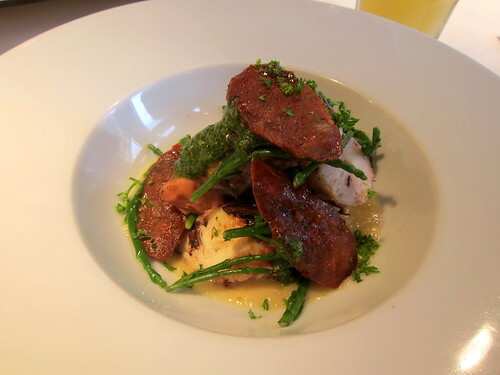 Octopus with onion puree, chorizo, garlic pesto (!!!). 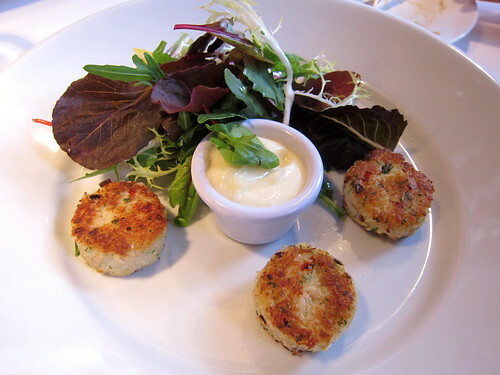 Crab cakes (these are a must). And finally seared scallops with anchovy (always go with the anchovy butter). Brilliant as always. 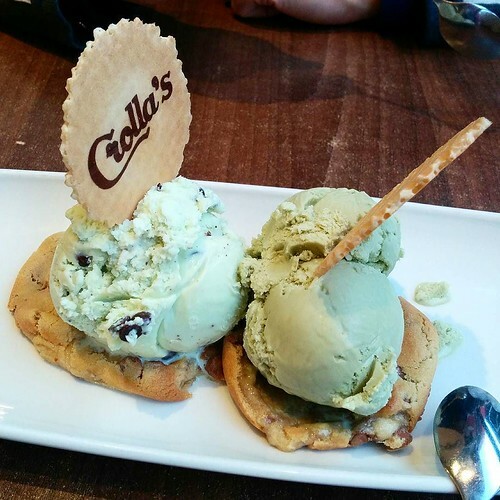 We walked all the butter off on our way to Crollas Gelateria, where we shared freshly baked chocolate chip cookies with two scoops of gelato. Yes. Yes. Yes. As you can imagine, we rolled back to our hotel that night. 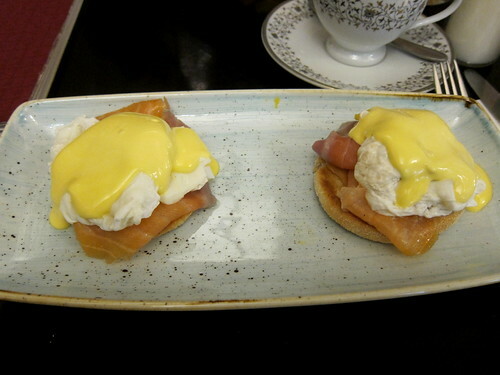 On the morning of our last full day in Glasgow (and Scotland), it rained cats and dogs and we could only sprint to the nearby Gallery of Modern Art where we spent a curious morning before we continued through the damp to Cup Tea Lounge where we shared a pear and orange salad and eggs royale. While the food was average, the setting was absolutely gorgeous with its ceramic tiled walls and its impressive gin bar! We continued up towards Sauchiehall Street, making a detour towards the Glasgow School of Art. Alas, the original Mackintosh building was under scaffolding for a refurbishment but there was an excellent exhibition about it all in one of the new buildings. 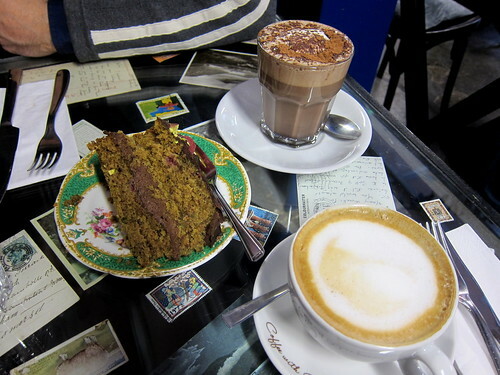 We dropped into Singl-end for coffee and cake – well, hot chocolate and coffee and a vegan (!) cake. It was the most delicious vegan baked good I’d had – a raspberry, chocolate and pistachio cake. All their baked goods looked excellent as did their savoury brunch options. Our final dinner in Glasgow, in Scotland!, was at Bread Meats Bread, a popular and highly rated burger joint. My Wolf of St Vincent Street was a juicy patty topped with cheese, bacon, pulled pork, crispy onions and ‘nduja was almost too big to get my jaws around. But it was good! 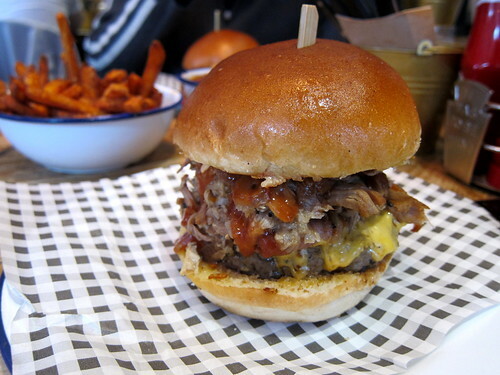 As was Blai’s Full House burger which was topped with beef brisket and pickles. 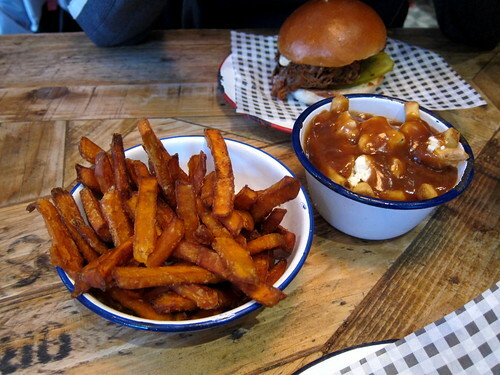 Our accompanying sweet potato fries and poutine were also excellent. I like the creativity they exhibit through their fries – our neighbour’s maple and bacon sweet potato fries looked brilliant! The next day, it was back to Edinburgh and then back to London from there. We had a fantastic time in Scotland – everyone was very friendly, there’s plenty to see and do, and, gosh, the food was good. As is usual, all photos from our Easter trip to Edinburgh and Glasgow can be found in this Flickr album. It was yet another Easter weekend and we weren’t going to let these free days off go to waste. On Blai’s request, we headed up north to Scotland, a country I’d visited briefly but where he had never set foot. Off we went by train from London to Edinburgh, a pleasant few hours journey which saw us deposited right in the centre of the Scottish capital. We dumped our bags at our B&B and then immediately set off up the hill to the castle. 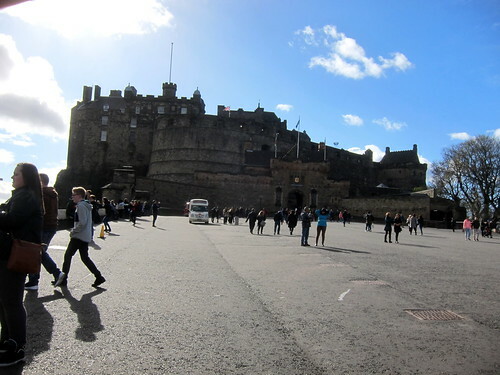 While we didn’t visit Edinburgh Castle on this trip, we could still marvel at its impressive location. We criss-crossed the city, walking all the way down to the Scottish Parliament and the Palace of Holyroodhouse. Of course, such an appetite that has been worked up must be addressed! Dinner! And it would be at The Dogs, a well priced British bistro that was packed with locals and tourists alike. 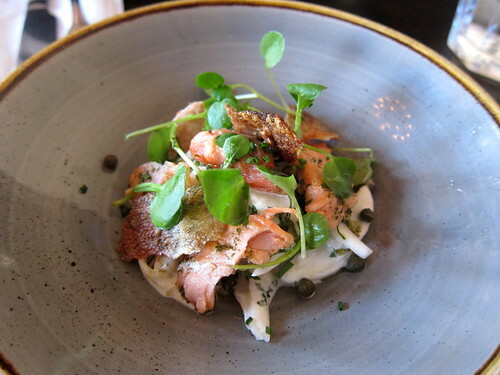 Home smoked trout, fennel and mint slaw, capers was a lovely little starter of lots of textures and flavours – that toasted trout skin was wonderful against the soft trout flesh. Pork cheeks in cider, celeriac + pear mash, buttered Savoy cabbage were served in a very thick sauce that seemed to consist of apple puree. 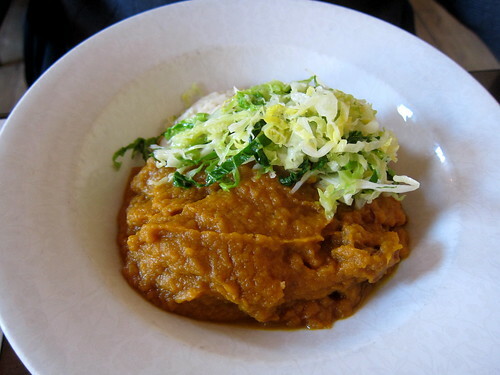 While the mashed was a bit too texturally similar to the tender pork cheeks and its sauce, the cabbage added a nice little crunch. Ling, prawn + spinach pie, herby potato crust was a very comforting fish pie. A side of mangetout, honey and pumpkin seeds was great! 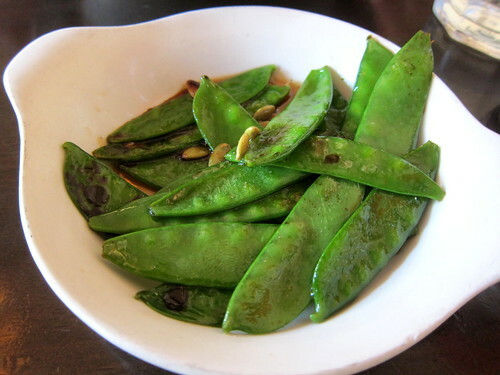 I think I’d been expecting the usual boiled veg but here the mangetout was sauteed. Much better! Desserts were outstanding. A fruit crumble was the furthest away from the usual institutional crumbles I’ve encountered. 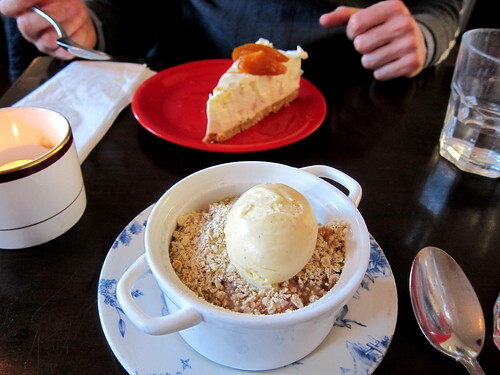 As well, their pear cheesecake was incredibly light and flavourful. 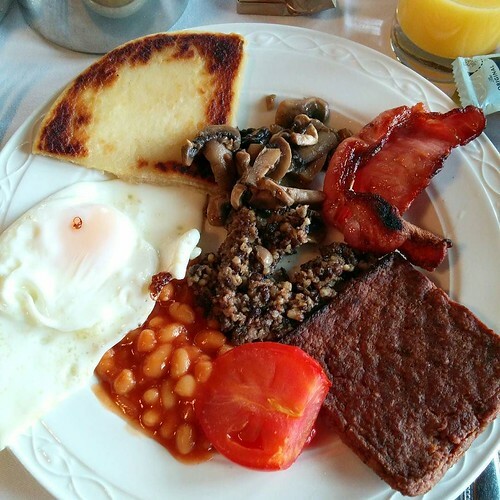 The next morning, we woke up to a full Scottish breakfast at our B&B – the B+B Edinburgh. Turns out I do love me a potato scone and a square sausage. Love ’em. 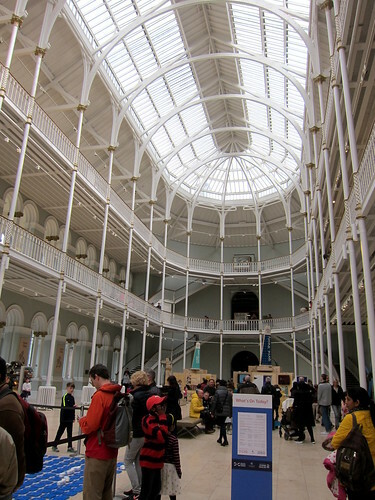 A couple hours were spent first at the wonderful National Museum of Scotland. I think it was more crowded that usual that weekday as the was a science festival taking place within. Either way, loved it. Definitely recommended. 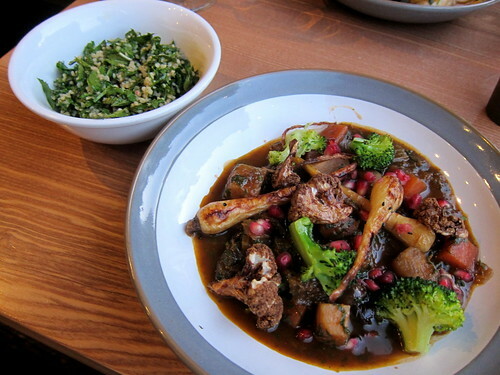 We looked for a light lunch and found it at Ting Thai Caravan. 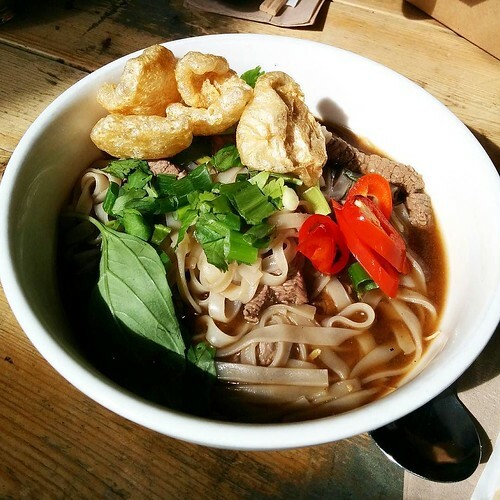 We got spaces at a shared table and tucked into fried rice noodles and this lovely light beef noodle soup. 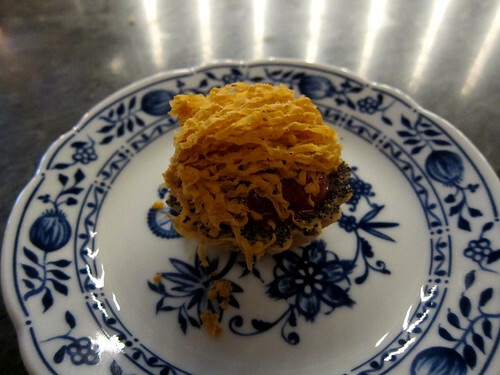 Yes, those are pork rinds on top… They were very good but didn’t really add anything to the dish. After wandering around Victoria Street and Grassmarket, the rest of the afternoon was spent at the excellent Scottish National Gallery. We were chased out of the museum at closing time and came out to see this over the city! We ended up at First Coast for dinner (our second choice restaurant) when we couldn’t get into our first choice Sushiya (we made it there the next day though). 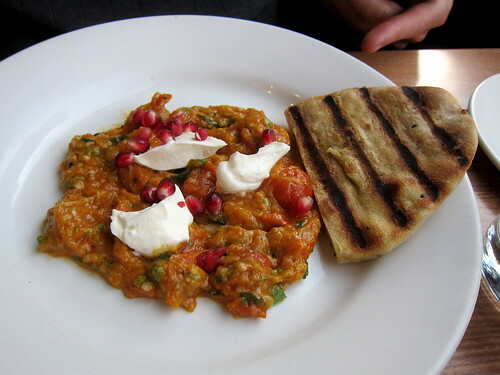 A Middle-Eastern inspired aubergine and flatbread was a nice little cold starter. Perhaps it wasn’t the most inspiring but it was tasty. 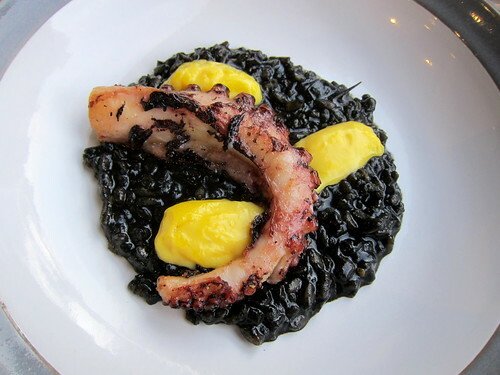 We loved the Octopus, saffron aioli, black rice. The rice was gorgeous, as was the ridiculously spoon tender octopus. 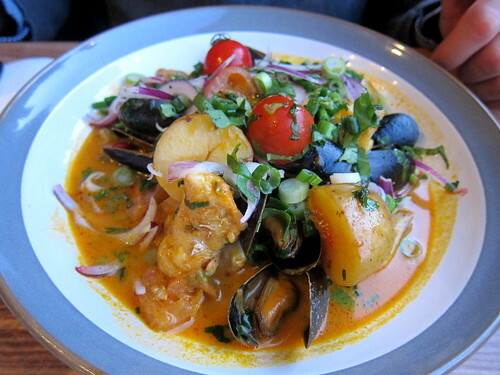 A Brazilian seafood stew, coconut milk saw off more of the cold in our bones. 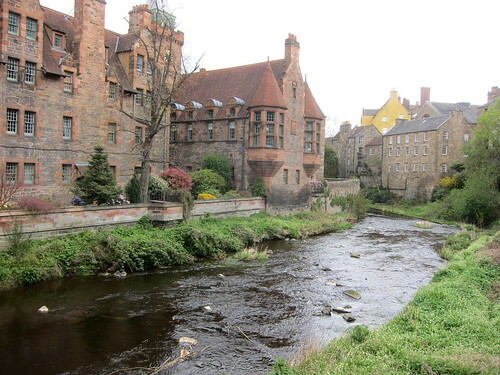 The next morning after breakfast (oof), we headed around behind our hotel to see the very picturesque Dean Village, a former industrial part of the city. We could have followed the path along the path all the way to the north of the city but turned around as our remaining time in Edinburgh was limited. Lunch was in nearby Haymarket at Sushiya (yeah, we made a reservation this time), which turned out to be one of the best Japanese restaurants I’ve tried in the UK. Everything we had was brilliantly prepared and exceptionally fresh. 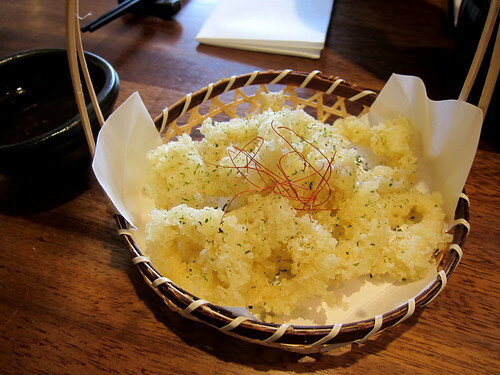 Here was our perfectly crisp and greaseless squid tempura. Grilled nigiri and a dragon roll were both superb, both perfectly put together and melt-in-the-mouth delicious. 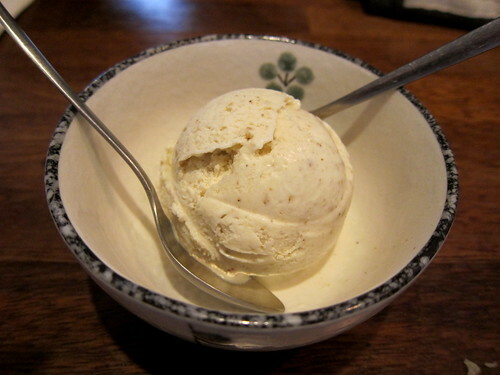 There was a scoop of white sesame ice cream as well – excellent, and strangely quite unusual as I felt more used to seeing black sesame used in ice creams and desserts. Delicious! 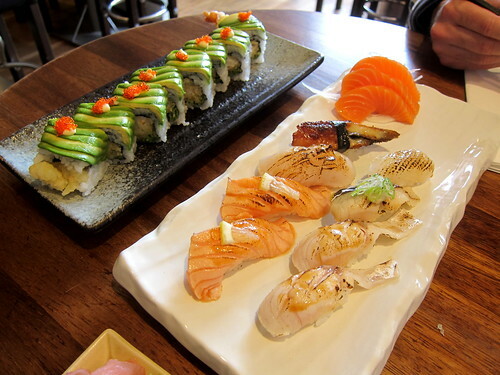 We highly recommend Sushiya and reservations are necessary for lunch or dinner. 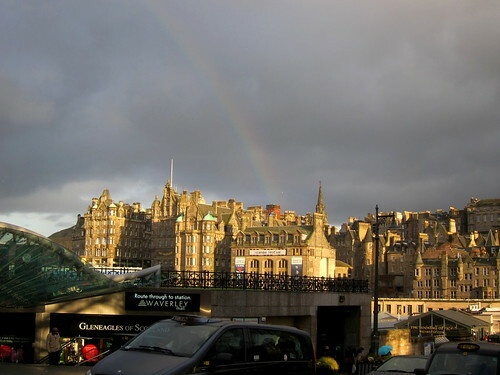 But there was one more Edinburgh eatery to report on – on our way back to London from Glasgow, we stopped in Edinburgh to change trains. The stopover gave us enough time to have a relaxing lunch at Edinburgh Larder, a cafe specialising in locally sourced produce. 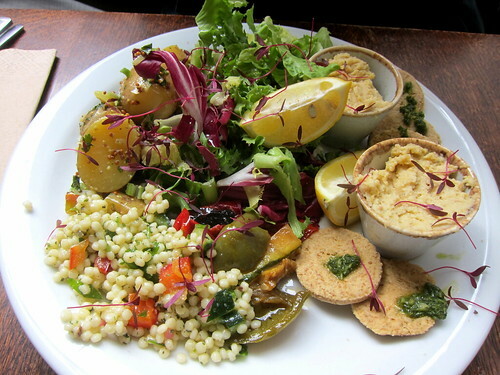 A veggie plate contained hummus and roasted vegetables, plenty of salads and little locally baked oatcakes. 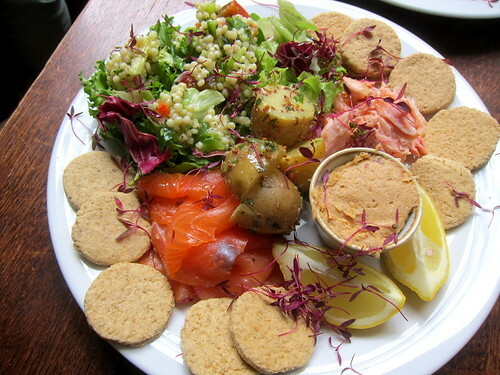 A fish plate was filled with variants of Scottish salmon (that now luxury good): cold smoked, hot smoked, paté. And again, there were countless little oatcakes. Delicious little oatcakes! You should see their sandwiches too – proper doorstopper constructions one can barely get your jaws around it. 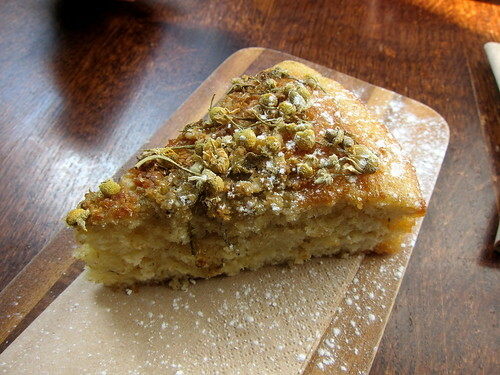 Finally, an unusual honey and camomile cake was the perfect send off for our trip back to London. 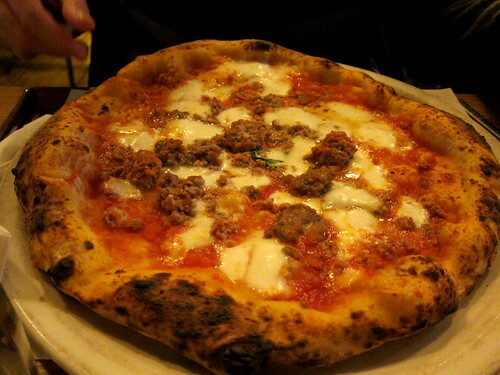 It was sticky and chewy and very very good.